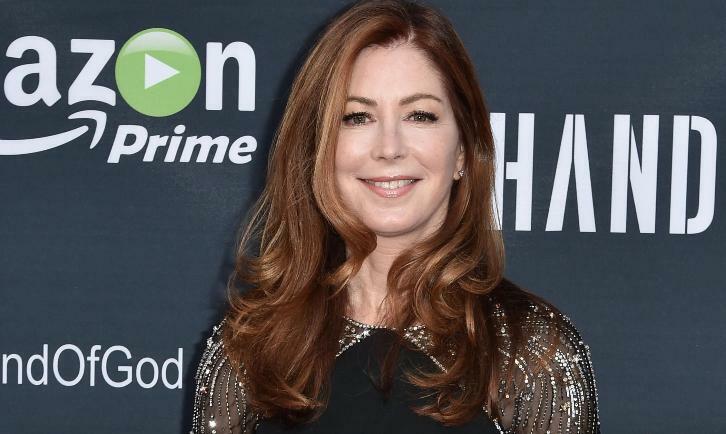 Dana Delany (Body of Proof, Desperate Housewives, Hand of God) has been cast in a leading series regular role on The Code, a midseason CBS drama per Deadline. Delany will play Colonel Eisa Turnbull, originally played by Mira Sorvino in the pilot. The part was one of two recasts and Deadline notes that it was planned for the character of Eisa Turnbull to become a recurring one but once Delany was cast that completely changed given her success on television. Written by Limitless creator Craig Sweeny and Craig Turk and directed by Marc Webb, The Code is a military drama following the military’s brightest minds take on our country’s toughest challenges – inside the courtroom and out – where each attorney is trained as a prosecutor, a defense lawyer, an investigator – and a Marine. Delany will play Colonel Eisa Turnbull, the Commanding Officer of the Marine Corps' Judge Advocate Division. Eisa demands the utmost excellence of herself and her staff, inspiring fierce loyalty from the attorneys who serve under her command. One of the highest‐ranking female officers in the Corps, Eisa is also the mother of two sons who are serving overseas. Luke Mitchell was recently announced to be joining the cast alongside Anna Wood, Ato Essandoh, Phillipa Soo and Raffi Barsoumian.